Well what can I say! These extremely dramatic earrings for pierced ears are designed by Toma Clark Haines for the TCH COLLECTION. Part of the Serpentine Collection the snake represents Toma's creative life force symbolising rebirth transformation immortality & healing. 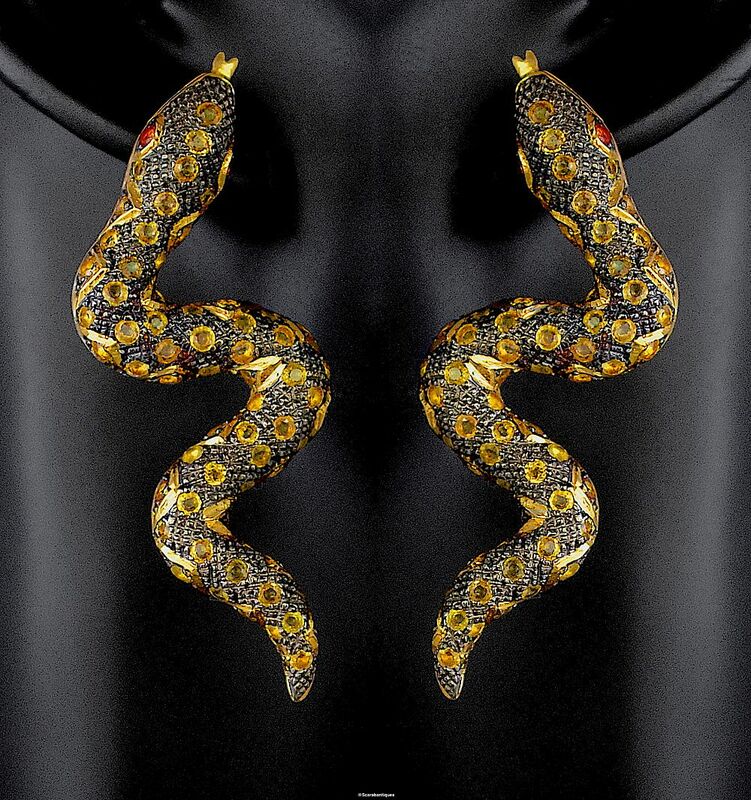 Each 18ct yellow gold vermeil snake earring is black rhodium plated and set down its length with yellow sapphires with orange sapphire eyes. 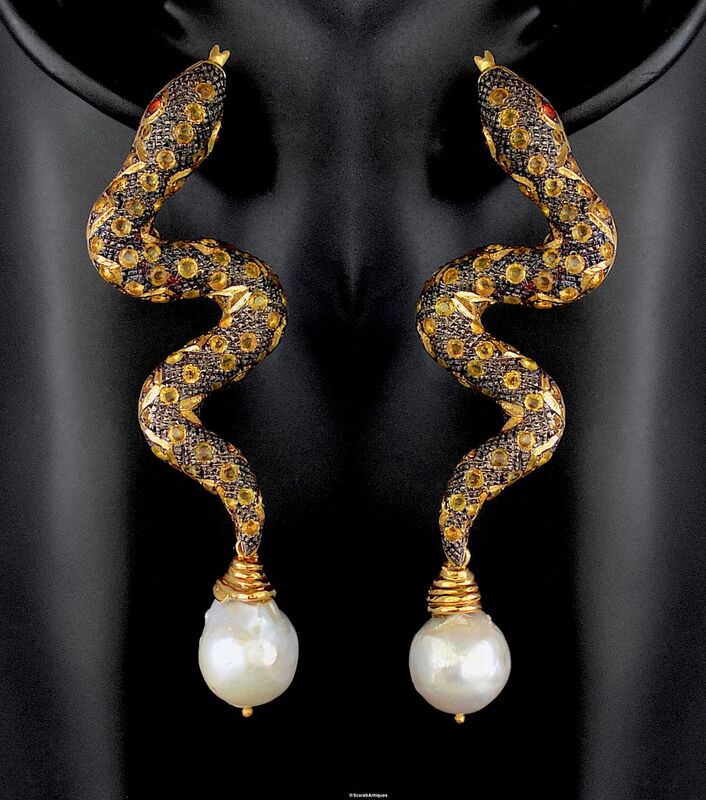 A vermeil topped white freshwater baroque pearl is suspended from each tail: these drops are detachable.